Contentment Tool #6: Mind Your Imagination! Could it be that what we think we see on the other side of the fence is not real? What if the circumstances that we think we need to make us happy are nothing more than our imaginations run amok? Unregulated imaginations are dangerous animals that distort reality and can greatly inflate the worth of one thing over another. For example, why do roses cost more than tulips? Because somewhere at some time someone imagined roses to be more valuable. Are they? Is there a legitimate reason to pay more for a rose than a tulip? What about a dozen roses? Who decided that a dozen roses is romantic? Why not two dozen? Or three dozen? At some point someone imagined a dozen roses would win the hearts of womankind – therefore women want a dozen roses on Valentine’s Day and men drive themselves crazy trying to find them. But back to the greener grass – who imagined, and assigned value to, the greener grass that you desire? Who decides if your grass isn’t green enough? You? Or are you buying into someone else’s imagination? Are you discontent because you don’t have what you imagine you should have? When we are discontent with our lives because of our unregulated imaginations, we are saying to God, “My imagination is wiser than your infinite wisdom.” How could we possibly think that? As I work through this study on contentment this summer, I am seeing a direct correlation between arrogance and discontent. If we are discontent with the pasture God has put us in – the sum of all of our circumstances –we are fighting with God for what we imagine we want rather than accepting from him the reality of what he is giving. Are you angry and argumentative with God because you are not getting what you imagine you deserve? 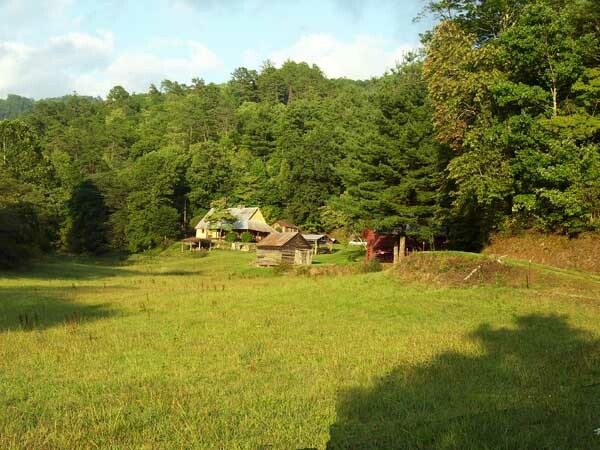 To be content in our pasture, we must pray for God to take hold of our imaginations. We must ask God to train us to use our imaginations correctly. Then we must surrender our imaginations to him so that he can sanctify them. Apart from God’s intervention, our imaginations can lead us into wickedness and discontent. God knows way more about imaginations and hearts than we do. If we yield to God’s wisdom and choose to believe He gives the very best for us in each moment and in each circumstance, the quarrel would stop. If we believe that God is always good, our anger would abate. If we believe that God’s provision is sufficient, that he is meeting our every need, our discontent would turn to gratitude. Instead, we blame God for all of our imagined slights: his indifference, inattention, negligence, disrespect, and affronts to our self-esteem. Seriously? The God of all Creation who knows the number of hairs on our heads – do we really believe he is overlooking us, or that he blinked when he planned the details of our pastures? According to Watson, “Imagination looks at things through a magnifying glass.” That is true. It makes things seem bigger than they are. We see our neighbor’s house, marriage, children, income – everything – bigger and better than ours. John Piper’s observation that “God is most glorified in us when we are most satisfied in him,” speaks directly to our discontent. We are most satisfied in God when we stop imagining what God should be doing and instead choose to live abundantly in the reality of what God is doing. To learn contentment, we must ask God to sanctify our imaginations! Will you? Imagine how a sanctified imagination might differ. Imagine contentment. 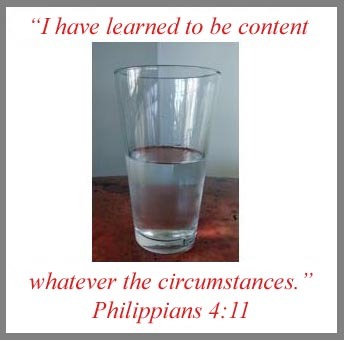 If you don’t want to miss a post on this “Contentment Series” simply click “follow” at the top of the right column of the blog page. As a follower you will receive an email every Tuesday as new posts are published.